Sweet potatoes are sweeter than pumpkin and the flavor is considerably more complex. This allows sweet potato pie to beat the living daylights out of pumpkin pie if the two were to battle in a flavor war. This Celebration Vegan Sweet Potato Pie recipe is living proof, especially when it's enhanced with maple syrup, nutmeg cinnamon and ginger. 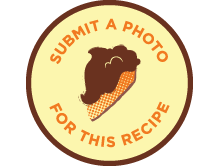 Flaky Pie Crust is recommended for this pie. Preheat your oven to 400F (204C). Peel the sweet potatoes, cut into 1 inch chunks and place them in a baking dish. Cover the baking dish with tin foil and poke about 6 holes then bake at 400F (204C) for 40 minutes. Process the chunks in a food processor or blender until smooth. Measure 2 cups of sweet potato purée and discard any remaining. Place the purée back in the food processor and decrease oven temperature to 350F (177C). Add the remaining ingredients to the food processor or blender and process until smooth. 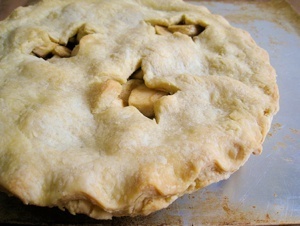 Pour the mixture into a pre-baked pie crust and bake for 1 hour. 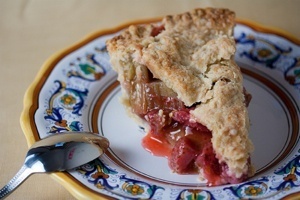 To store, cover the pie with plastic wrap and keep it in the refrigerator for up to 1 week. This recipe makes 1, 9 inch Celebration Vegan Sweet Potato Pie. Ingredients say I cup sweet potatoes, instructions say 2 cups sweet potatoes. Also says to discard leftover sweet potato, who says things like that? Why not eat it?! A bit dense.